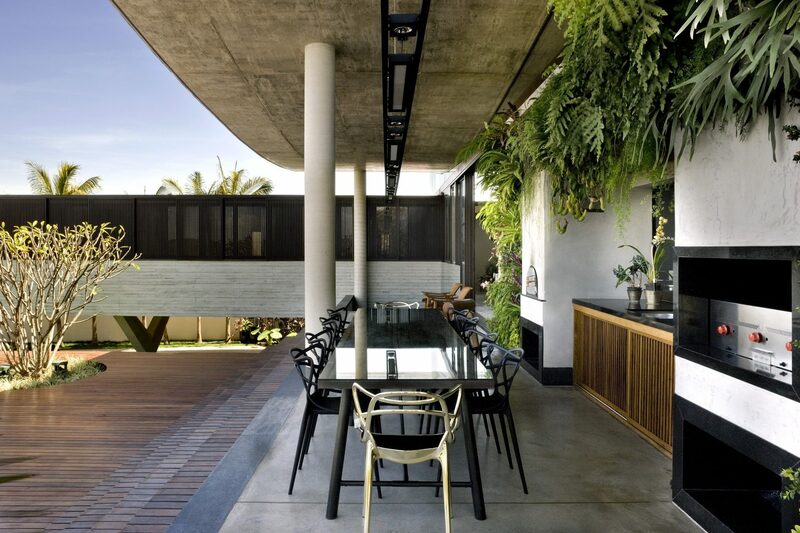 This house is a potent reminder of what good modern house architecture can do with a bit of concrete. Constituting the main material in the structure, it’s flexibility is clear for all to see in that wonderful curved roof, boldly sweeping up towards the heavens. 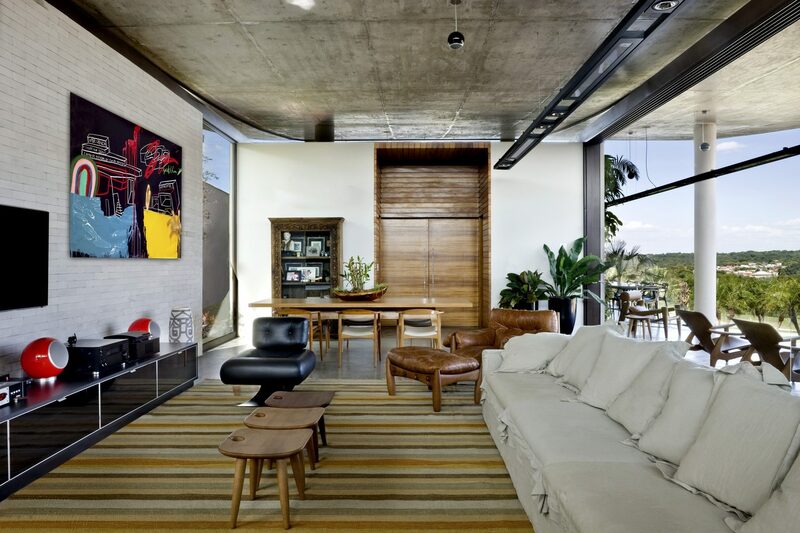 Built in 2016 by Leo Romano Architects, and located in Goiânia, Brazil, the contemporary style home is known as the Climbing House. 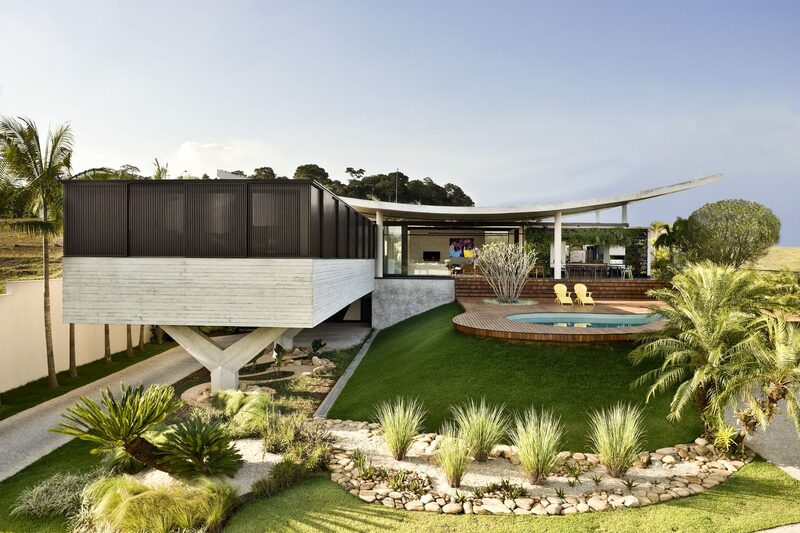 If only for its sweeping roof, the name is appropriate, but the rest of the home also displays a rather upwardly mobile quality. Which returns us to the concrete, since the material is absolutely essential in creating this effect, as evidence in several other parts of the structure. For instance, there’s the foundation for the section of the house given over to the private bedroom quarters. Two wing-shaped platforms provide a strong base for this section to extend out from the hillside, and look really beautiful in their simplicity. 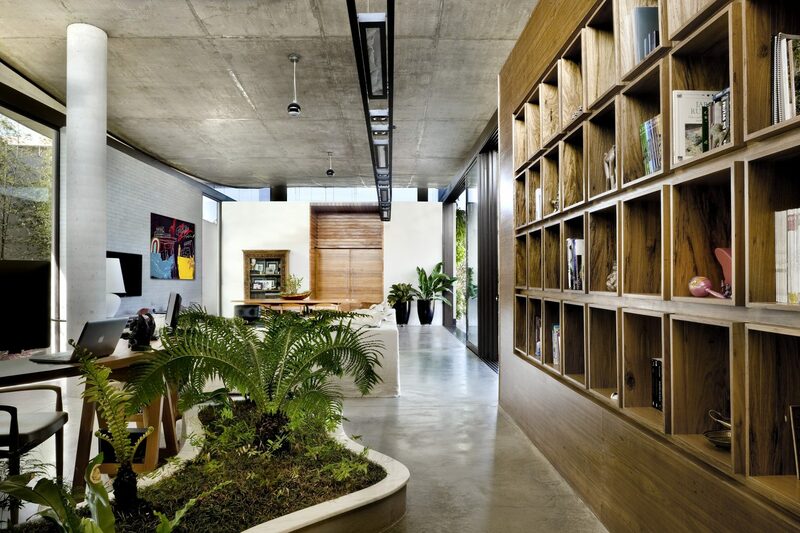 Concrete also helps produce another of the home’s key motifs: curves. 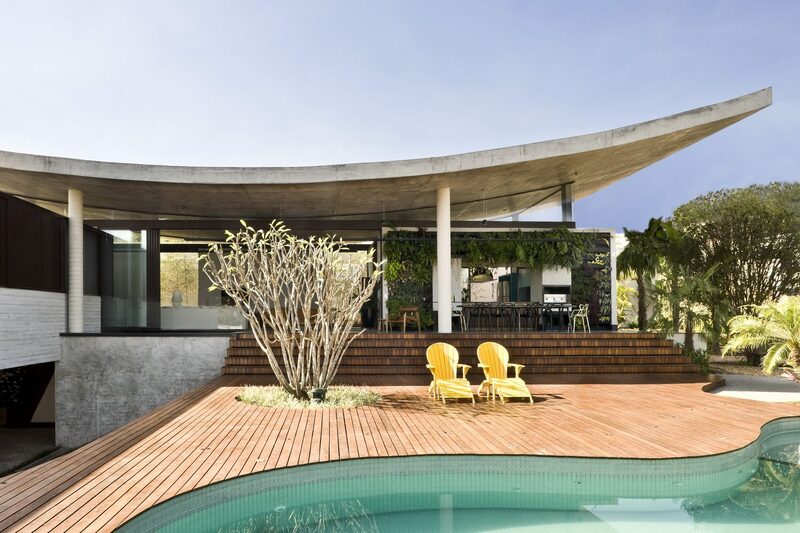 Besides the roof, there’s the swimming pool, in the shape of two conjoined circles, with the decking around it also echoing the curve of the pool, with another circle cut into the decking to make way for a tree. The ultimate effect is not unlike what you see in a lava lamp, an effect which continues with a patch of greenery situated in the interior space, this time in the shape of three conjoined circles looking like they’re about to split apart. 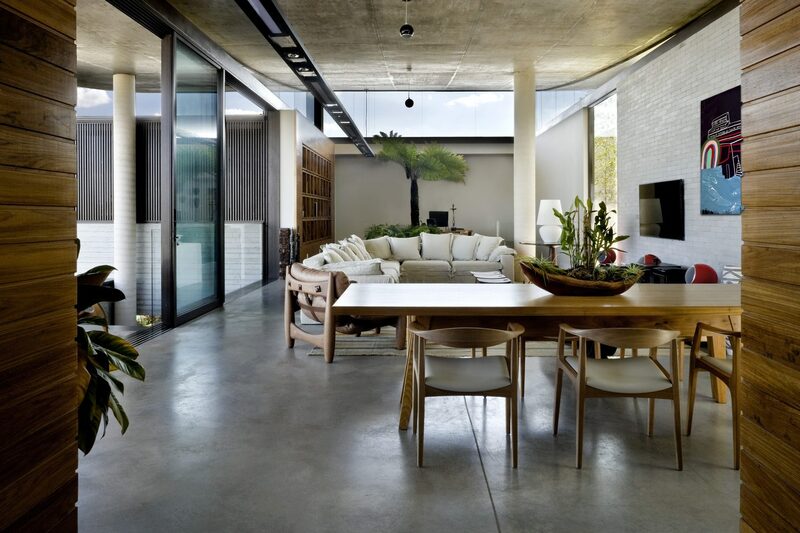 For the most part, the concrete is left exposed, a choice which could produce an overly cold atmosphere were it not for the décor chosen to fill the house. A combination of traditional and mid-century furniture, the styling is clean, and cool, with a bit of cosiness thrown in here and there (considering the tropical context, it’s more than enough). 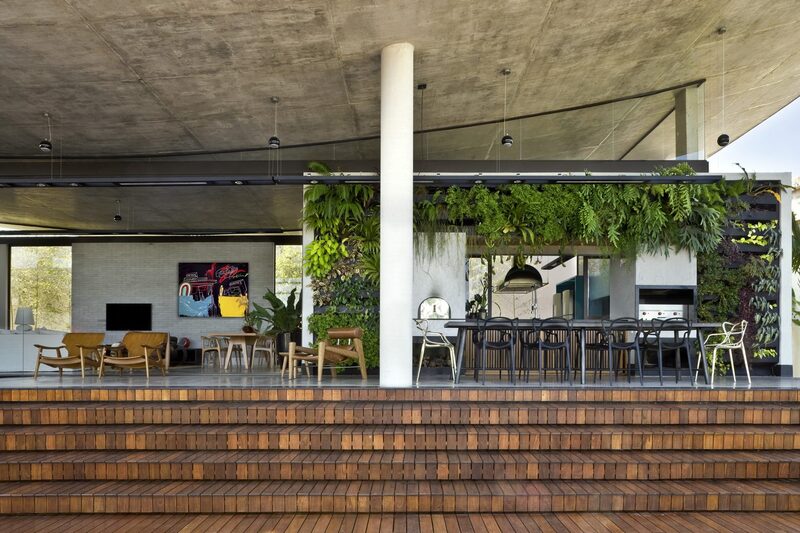 Speaking of which, we recently featured another house from Goiânia, the Gedda House. 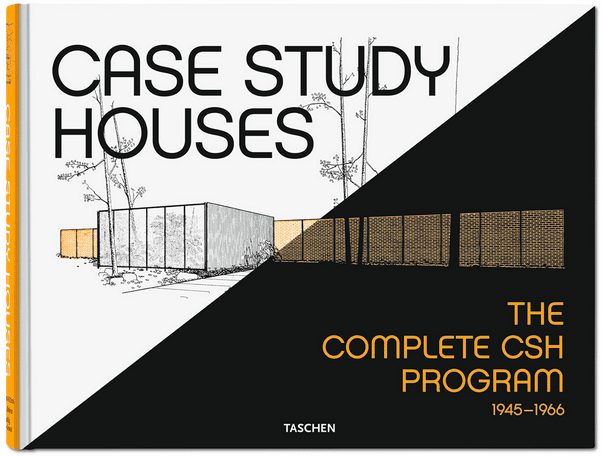 As with the Gedda House, the Climbing House is completely open to the outdoors, no doubt a useful arrangement given the climate. 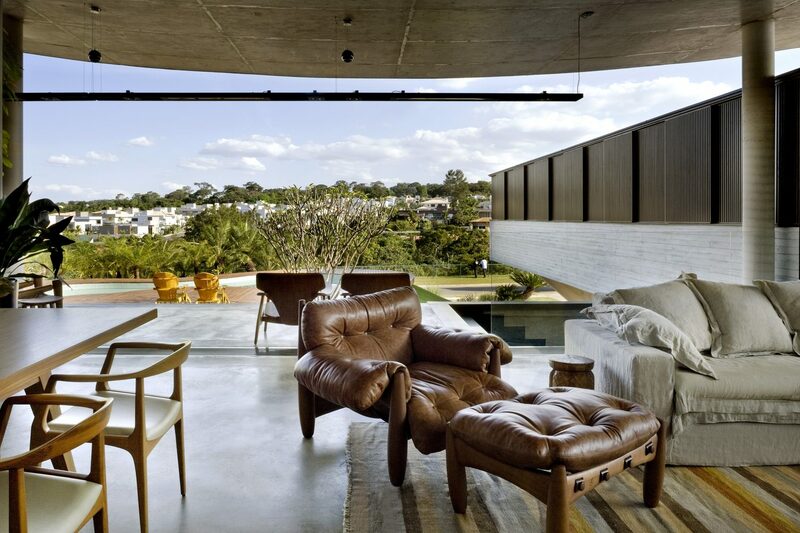 But the Climbing House takes the openness slightly further, with the living room left completely open to the outdoors. Indeed, there’s seemingly no means of cutting the interior off from the outside, not even a discrete window. This extreme kind of openness could seem a bit much. But then again, there’s always the aforementioned private bedroom quarters to escape to. And with those views, it’s hard to imagine anyone complaining.